Rome, the capital of Italy, is a city like no other. For more than two millennia, this city has been the center of European culture, politics and religion. Walking around the streets of Rome feels like taking a tour through the history of humankind. Rome is densely populated with ancient churches, Roman ruins, beautiful fountains, spacious squares (piazzas) and expensive shops. In simple words, it is a city for everyone. According to a legend, Rome was founded by Romulus and Remus, twins raised by a wolf, in the 8th century BC (before Christ). Like Lisbon, Rome was built on seven hills. Rome was the center of the powerful Roman Empire from 27 BC until its collapse in the 5th century AD. Constantine I, who was the Bishop of Rome, was eager to establish Rome as the center of the Catholic Church. His power and influence grew, so Rome unsurprisingly became a major pilgrimage site in the Middle Ages. 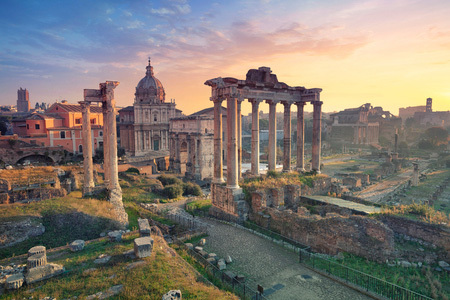 Unlike Berlin and Vienna, Rome remained largely unaffected by World War II, and was able to flourish rapidly after the War into a populous, modern city. 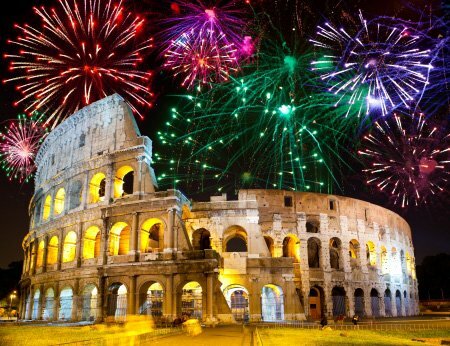 Also known as the Flavian Amphitheater, the Colosseum is the largest amphitheater ever built. Construction of this grand structure was completed in AD 80 during Emperor Titus' rule. Colosseum famously hosted gladiatorial contests, where armed men fought other men or animals. Besides entertainment, the amphitheater had many different purposes throughout history. More precisely, it was used as a fortress, a Christian shrine, and for housing. Today, it is one of the most popular attractions and a place of importance for the Catholic Church. 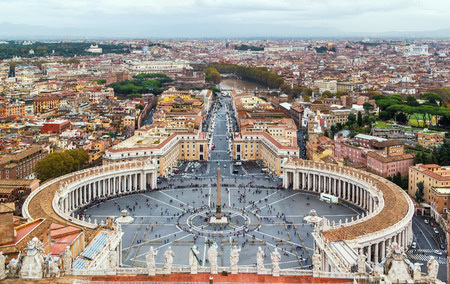 The Vatican is a city-state within Rome. Despite being the smallest country in the world with only 1,000 people, it is filled with historical artifacts and artwork. This breathtaking place is also home to the Pope, the Catholic Church's head. Interestingly, it is the only place in the world where Latin is spoken as the official language. 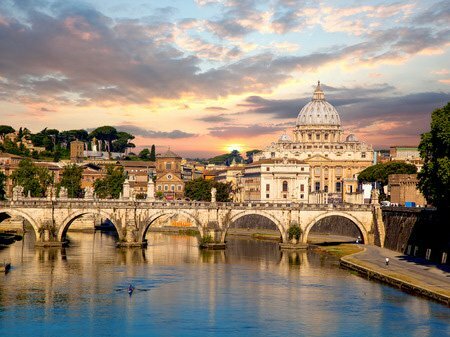 Some of the most visited tourist attractions in the Vatican City include St. Peter's Basilica and the Vatican Museum. This enormous basilica took more than 100 years to build. It was originally designed by Bramante and Michelangelo, and it still hosts Michelangelo's famous sculpture Pieta. Considering that the basilica is of central value to the Catholic world, a lot of tourists visit it every day. However, it is still possible to enter even during Mass (a religious ceremony), except on Wednesday mornings when access to the basilica is limited to papal audiences. The famous and most beautifully decorated Sistine Chapel is located in the Vatican Museum. The walls of the chapel are divided into three levels. The middle level contains paintings by artists like Botticelli. The upper level and the ceiling were painted by the legendary Michelangelo, who worked on these art pieces for four years. In the chapel, you can also visit the papal apartments painted by Raphael, another great master of Italian art. Built in the 18 century, the Trevi Fountain is one of the most famous fountains in the world. It was placed at the junction of three roads (tre vie). Most tourists try not to miss this place because of the coin throwing tradition according to which throwing a coin into the fountain using your right hand over your left shoulder brings good luck. Every day, more than 3,000 Euros end up in the Trevi Fountain. 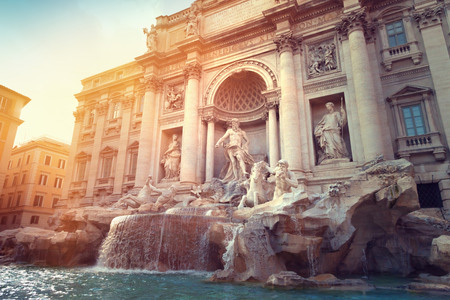 The Trevi Fountain appeared in the Award-winning Hollywood movie Three Coins in the Fountain, in which three American women dream of finding romance in Rome. Elvis Presley released a song called "Heart of Rome" in 1971, in which he sings about getting lost in Rome. One of the most successful Hollywood movies, Gladiator, tells a story about a Roman general who is betrayed and made a slave. Rome's symbols, architecture and mysteries inspired Dan Brown to write a bestselling novel called Angels & Demons. What does "densely populated" mean?  Rome was founded __________ Romulus and Remus. The Colosseum is the largest amphitheater __________ built. In Vatican, Latin is spoken as the __________ language. The Bishop of Rome, was __________ to establish Rome as the center of the Catholic Church. 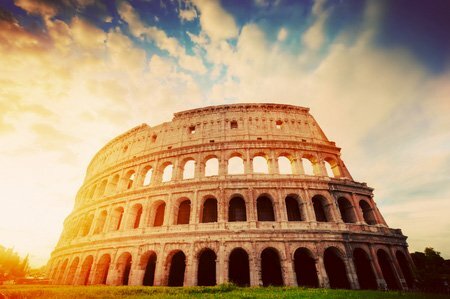 Rome remained __________ unaffected by World War II. Angels & Demons is Dan Brown's __________ novel. Raphael was another great __________ of Italian art. It __________ more than 100 years to build the basilica. On Wednesday mornings, the access to the basilica is __________ to papal audiences. The Colosseum is also __________ as the Flavian Amphitheater. What did gladiators do in the Colosseum? They sang for the public. They fought other gladiators and animals. How are you supposed to throw a coin into the Trevi Fountain? With your left hand over your left shoulder. With your right hand over your left shoulder. With both hands over your head. When did the Roman Empire collapse? In the 5th century BC. In the 1th century AD. In the 5th century AD. When is it possible to enter the St. Peter's Basilica? Every day except Wednesday mornings. Every day except Sunday mornings. Vatican City is a district in the center of Rome. 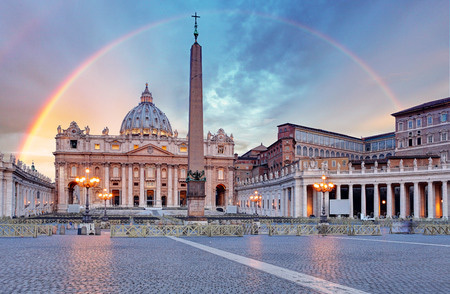 Vatican City is a separate country located within the city of Rome. Colosseum has always served only as an amphitheater. Colosseum served as an amphitheater in the Roman times, however, later it had other purposes as well. "Despite the popular belief that throwing coins in the Trevi Fountain brings good luck, not many tourists do it." "Rome's architecture and history often inspire Hollywood directors to make movies about this city."